Caudalie is a cutting-edge French skin care line, known for exceptional patented age-defying technology. This clever exfoliator purifies the skin and refines its texture without drying it out, allowing you to achieve clear, fresh skin that remains gorgeously radiant. Grapefruit, mint and sweet orange make it beautifully refreshing, while natural micro-grains (derived from corn) offer physical exfoliation to leave skin smooth and clear of impurities. With 97% natural ingredients, this is a treat for all skin types but particularly good on combination to oily skin. 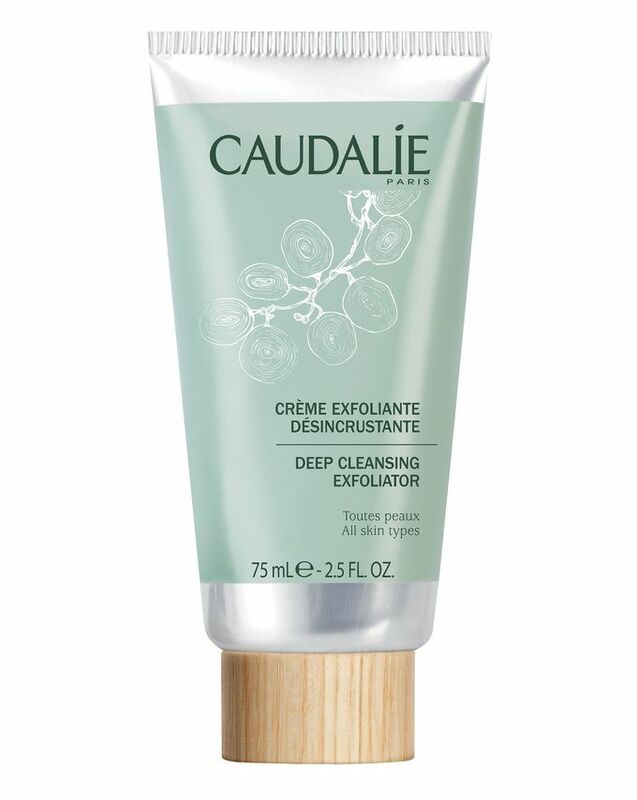 Purify and refine your skin without drying it out with Caudalie’s Deep Cleansing Exfoliator, a beautifully natural way of achieving a clear, radiant complexion. Natural micro-grains – derived from corn – offer physical exfoliation, removing dead, dulling cells to leave skin feeling both smooth and free from impurities. Containing 97% ingredients of natural origin, the formula also features a soothing, refreshing cocktail of grapefruit, mint and sweet orange, alongside sunflower seed oil to soften and smooth skin. A trusty treat for all skin types, this is particularly good for combination to oily skin. For a flawless complexion, use Deep Cleansing Exfoliator twice a week.